Save the dates 28th and 29th of January, 2019 for Egypt will be hosting one of the biggest finance events of the region. The 7th edition of Banking Technology North Africa Week will be held in Cairo’s Nile Ritz Carlton with multiple speakers from across the banking sector. The event presents the perfect opportunity to help leapfrog the unbanked and underbanked North African populations into financial inclusion. In addition to that, the two-day-long conference will highlight innovative and cost-effective digital banking services that will allow access for the unbanked, as well as pleasing demanding consumers. The first day, January 28th, will tackle financial inclusion, digital transformation and payments day. Some of the most prominent speakers will be Amr El Bahey -CEO and Country Head at Mashreq Bank, Egypt. 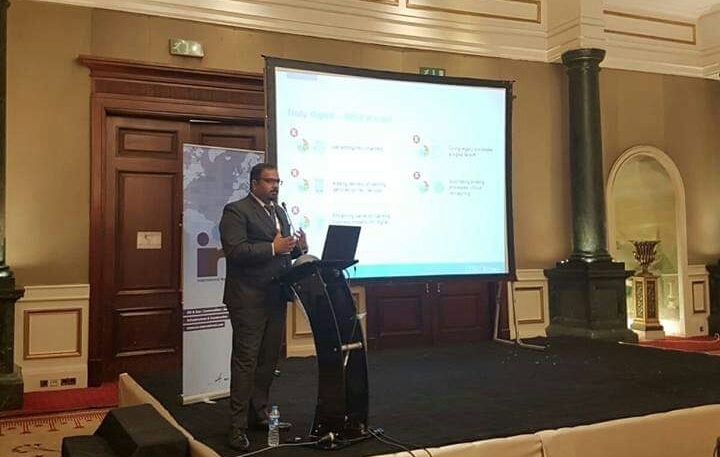 Ahmed Mansour, Integration Manager & Blockchain Expert at Central Bank Of Egypt. Sherif Hashem, Vice President, Cyber Security and Chairman at National Telecom Regulatory Authority Egypt and Noha Shaker, Founder and Executive Director at Egyptian Fintech Association and African Fintech Network Council member. ‘Data, Analytics, Cyber and Information Security Day’ will be the main topic on the second day of the conference. Some of the most prominent speakers will include Wafaa El Dars, Senior Vice President, and Chief Compliance and Corporate Governance at Abu Dhabi Islamic Bank, Egypt. Abeer Khedr, Head of Information Security at National Bank of Egypt and Tarek EL-Sherif, Head of Information Security and Risk Management Division at Leading regional bank. According to the event’s agenda, there will be a panel discussing how to keep consumers safe in the age of digital banking, cybercrimes and identity fraud. Over the past six years, the event has offered networking opportunities and high-quality information sharing. The event is considered the most elite meeting place for stakeholders in the North African banking industry. WE SAID THIS: Click here to register.